Bighorn Cruiser Build: The Great Divorce! A few of my TLC club buddies came over to help me part the tub from the chassis. Not super hard, but also not possible without help or a gantry. I don't have a gantry, so the friends did the trick. Thanks a million guys! 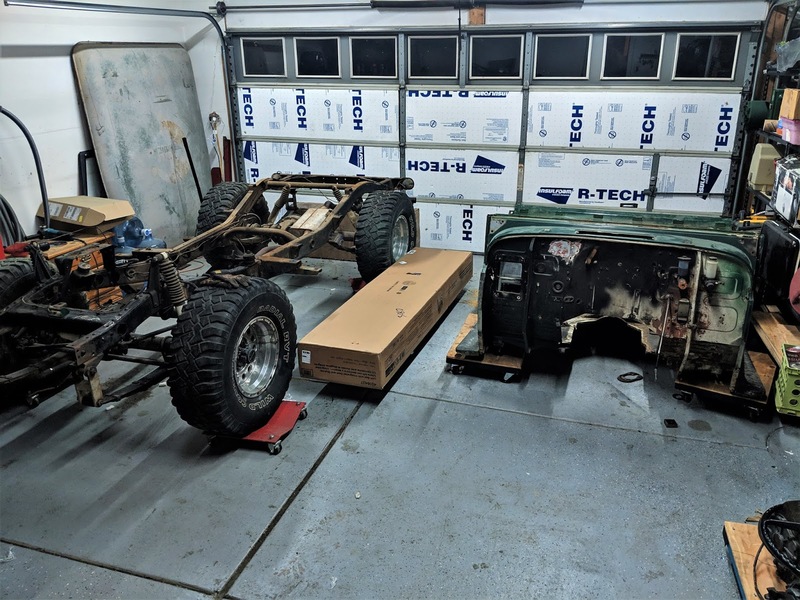 Now I need to finish stripping both tub and chassis in prep for media blasting. Then begins the body work and metal repair on the tub and chassis mods and powder coating... or POR15. I am still undecided on the final chassis coating.